May Day is a holiday that many Americans have celebrated, but relatively few can explain. Depending on your age, you might associate May 1 with dancing around a maypole in elementary school or watching tanks proceed through Moscow's Red Square on the evening news. Surprisingly, much of the confusion that surrounds May Day in the modern United States can be traced back to the late 1800s, when America's wealthiest classes and its working classes battled over what the holiday would mean for future generations. The roots of May Day go all the way back to ancient world. For the Romans, the first of May stood at the heart of the Floralia, a weeklong festival to honor Flora, goddess of youth, spring, and flowers. When the Romans reached the British Isles, their Floralia festival collided with the Celtic holiday of Beltane, also held on May 1. Elements of both celebrations combined to lay the foundations for what became known as May Day—which, by the medieval period, had become a cherished holiday throughout Europe. Every year, villagers would go "a-maying," venturing out in the early morning to collect flowers and decorate their town for the day's festivities. During the day, villages would hold a number of games, pageants, and dances, and many would crown a young woman "May Queen" to preside over the fun. At the heart of the festivities stood the maypole. Pulled into town by a pair of flower-adorned oxen, the pole (usually cut from a birch tree) was raised and decorated with colorful streamers that villagers could hold as they danced. Although England's May Day celebrations suffered a slight setback when Parliament temporarily banned maypoles during the English Civil War, the holiday returned in full force with the restoration of the Stuart monarchy in 1660. Still, May Day initially received a chilly reception in colonial America. 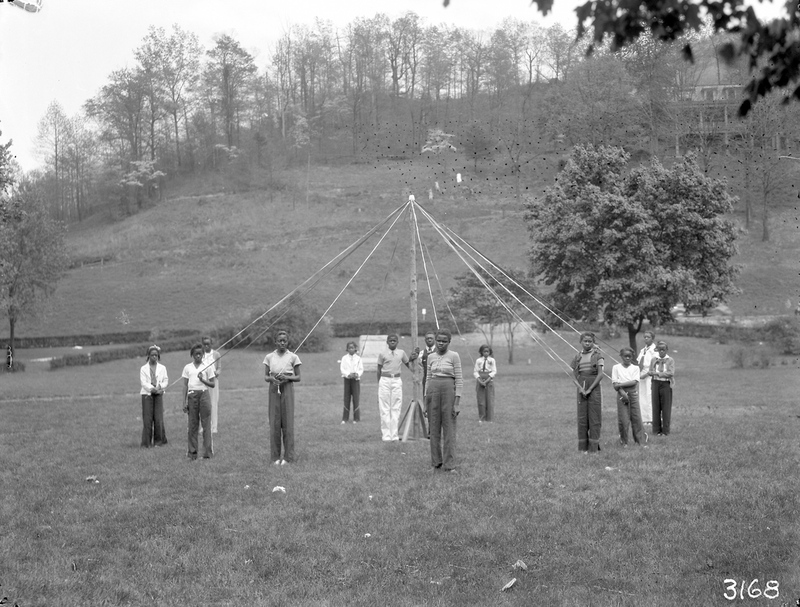 Puritan colonists in New England frowned on the spring holiday and its maypole, criticizing the latter as thinly veiled form of idolatry. When the Anglican merchant Thomas Morton erected a maypole on Merry Mount plantation in 1627, officials from the neighboring Puritan town broke up the celebration, chopped down the pole, and promptly sent the merchant back to England. Morton described his May Day accident in his 1637 book, the New English Canaan, and the story later became the inspiration for Nathaniel Hawthorne's short story The May-Pole of Merry Mount. May Day might have remained an obscure holiday in the United States if not for the work of two very different groups of reformers in the late 1800s, both of whom were concerned about the welfare of America's working classes. The first group were social reformers plucked from the nation's wealthiest and most powerful families, a group that historian David Glassberg memorably describes as the nation's "genteel intellectuals." In the late 1800s, migrants and immigrants from around the world were flocking to U.S. cities to find jobs in the nation's booming industries; from their vantage point at the top of the social ladder, America's genteel intellectuals looked down at these teeming masses with trepidation. Many feared that workers, exhausted as they were from factory work and the stresses of urban life, would fall victim to the cheap commercial amusements of the day—carnivals, penny arcades, and amusement parks, entertainments that (so the argument went) stimulated the body but did little to educate the mind or instill "traditional" American values. For wealthy reformers, the solution was to give workers more opportunities for wholesome play, particularly play that was steeped in the nation's white Anglo-Saxon past. May Day, after languishing in the background of the American psyche for centuries, stood out as an ideal candidate for a revival. 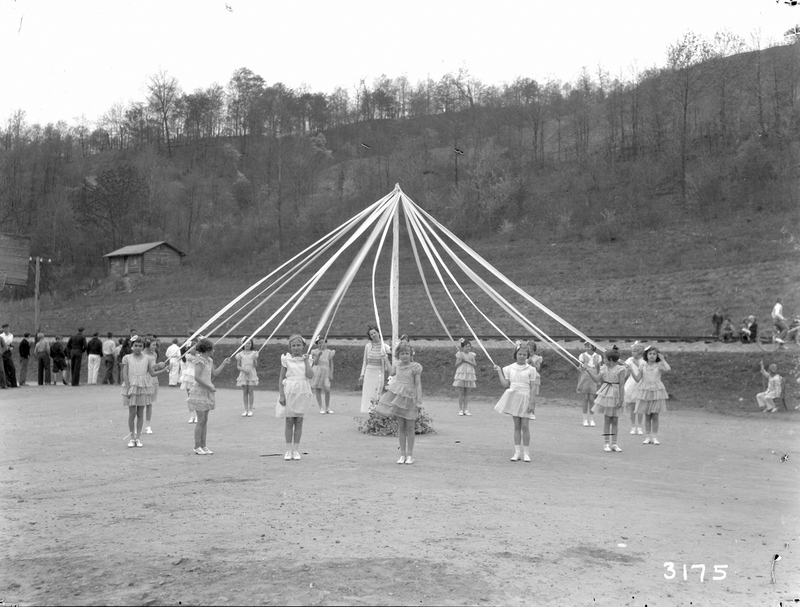 The resurgence of May Day traditions began in the 1870s on women's college campuses, where the children of wealthy families donned white outfits, danced traditional folk dances and, in many cases, performed dramatic retellings of the story of Thomas Morton and his doomed maypole. To popularize May Day among the masses, wealthy reformers also introduced the traditions of "a-maying" to American schoolchildren. 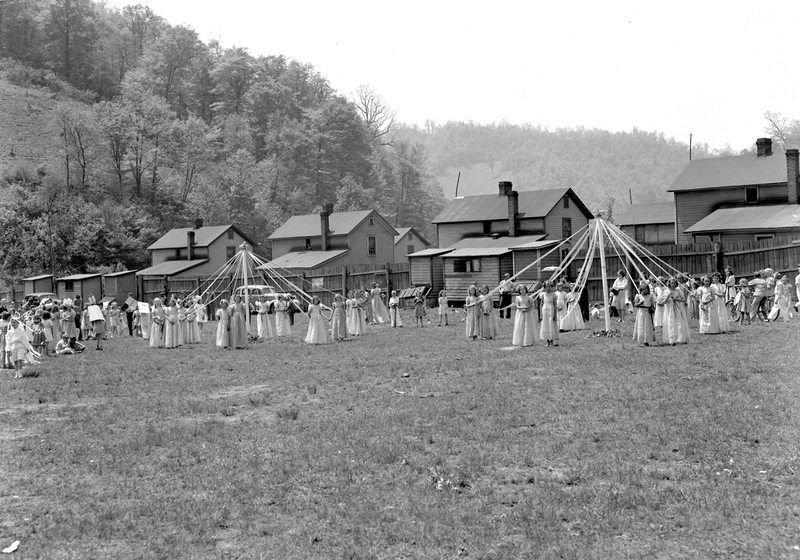 Generations of students in public and private schools, many of whom came from immigrant families, were taught to gather flowers and dance around the maypole on the first of May. Click this link to continue to part two in the series. Learn how a contemporaneous group of reformers —labor leaders— tried to redefine May 1 as a holiday where America’s workers could agitate for better treatment and working conditions. Jordan Grant is a New Media assistant working with the American Enterprise exhibition, located in the Mars Hall of American Business.